Original discussion (figure courtesy of Geert Jan van Oldenborgh, Hansen et al. (1981)). 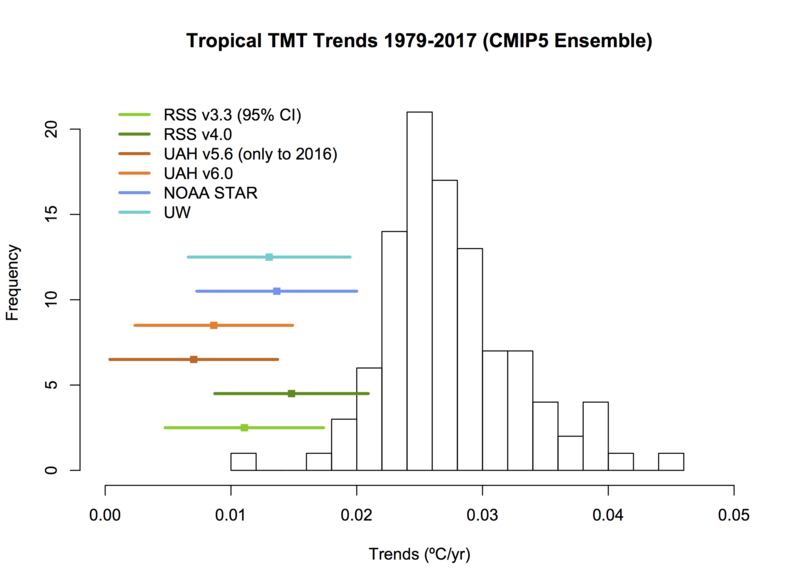 Observations are the GISTEMP LOTI annual figures and 10 year mean. Last updated: 20 Jan 2018. Original discussion (2007), Last discussion (2018). 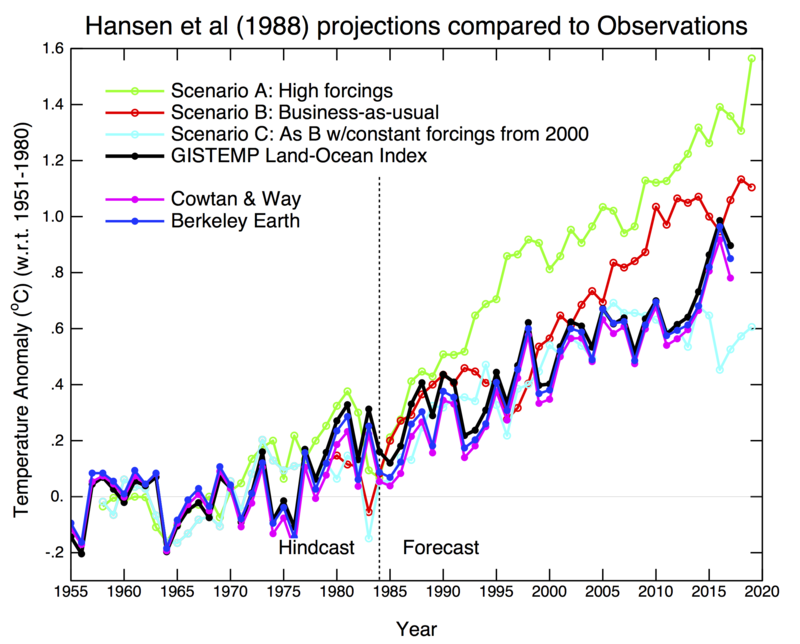 Scenarios from Hansen et al. (1988). Observations are the GISTEMP LOTI annual figures. Trends from 1984: GISTEMP: 0.19oC/dec, Scenarios A, B, C: 0.33, 0.28, 0.17oC respectively (all 95% CI ~±0.02). Last updated: 20 Jan 2018. Last discussion (2015). 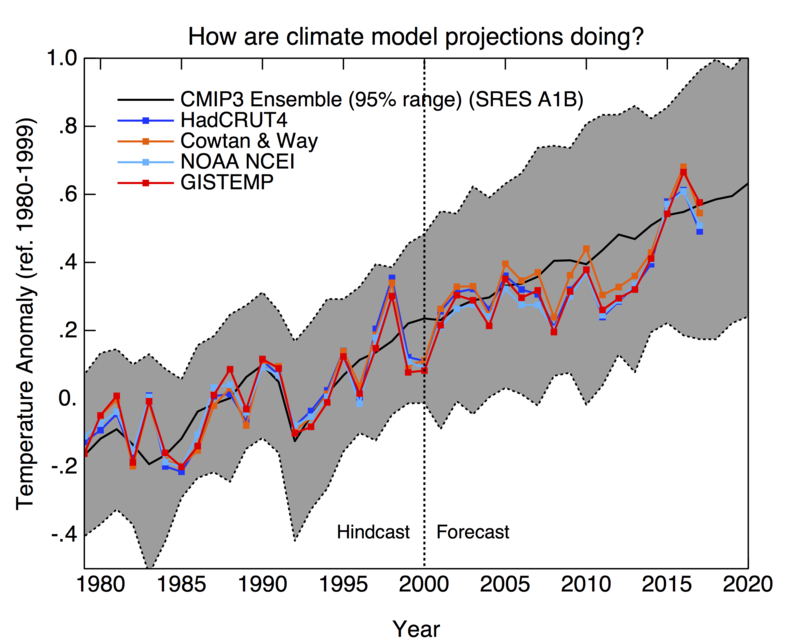 Model spread is the 95% envelope of global mean surface temperature anomalies from all individual CMIP3 simulations (using the SRES A1B projection post-2000). 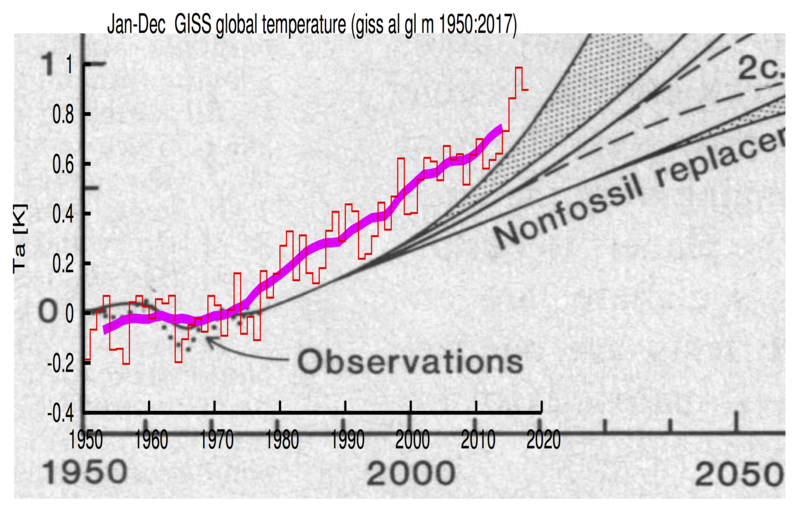 Observations are the standard quasi-global estimates of anomalies with no adjustment for spatial coverage or the use of SST instead of SAT over the open ocean. Last updated 20 Jan 2018. Last discussion (2015). 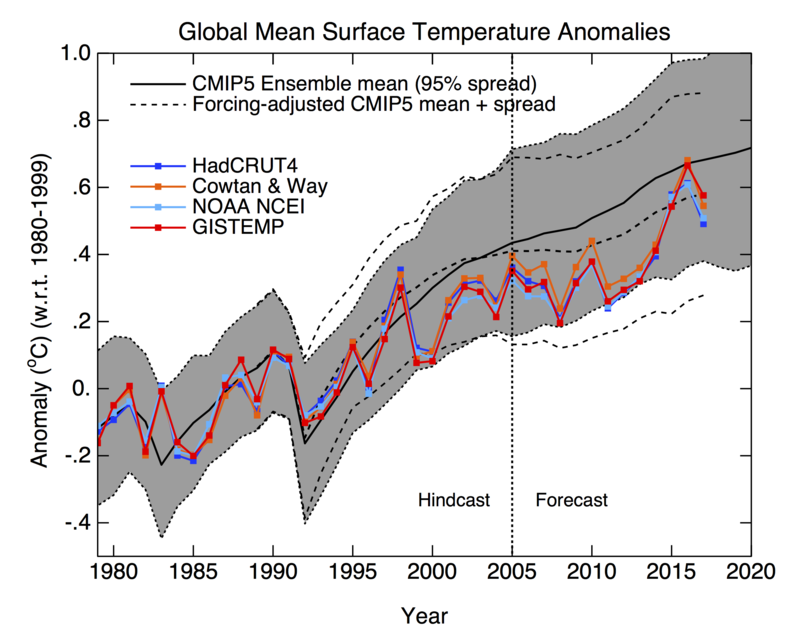 Model spread is the 95% envelope of true global mean surface temperature anomalies from all CMIP5 historical simulations (using the RCP4.5 projection post-2005). Forcing adjustment is updated from Schmidt et al. (2014). 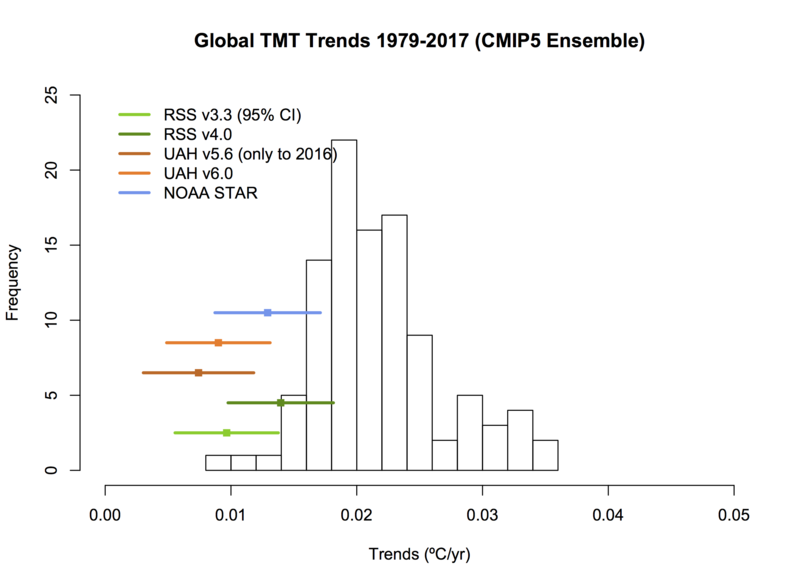 Observations are the standard quasi-global estimates of anomalies with no adjustment for spatial coverage or the use of SST instead of SAT over the open ocean. Last updated 20 Jan 2018. Original discussion (Jan 2017). 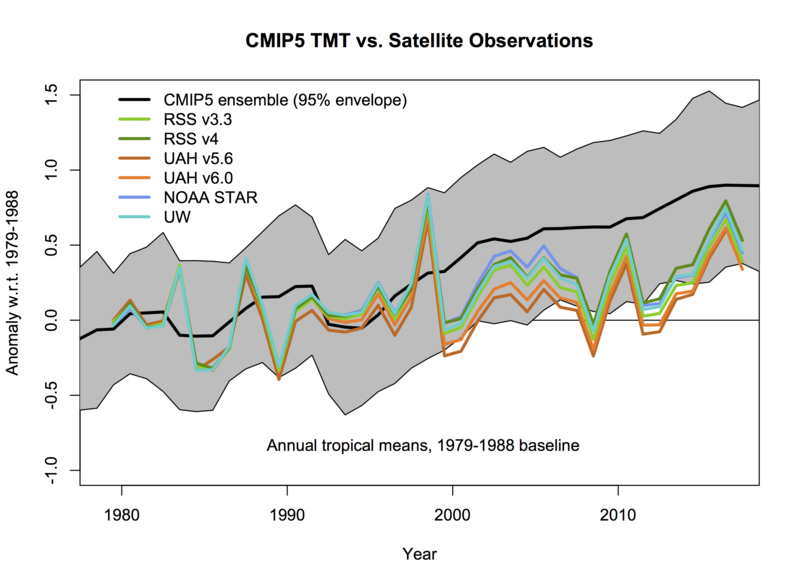 Mid-troposphere satellite products from UAH, RSS, NOAA STAR and UW. 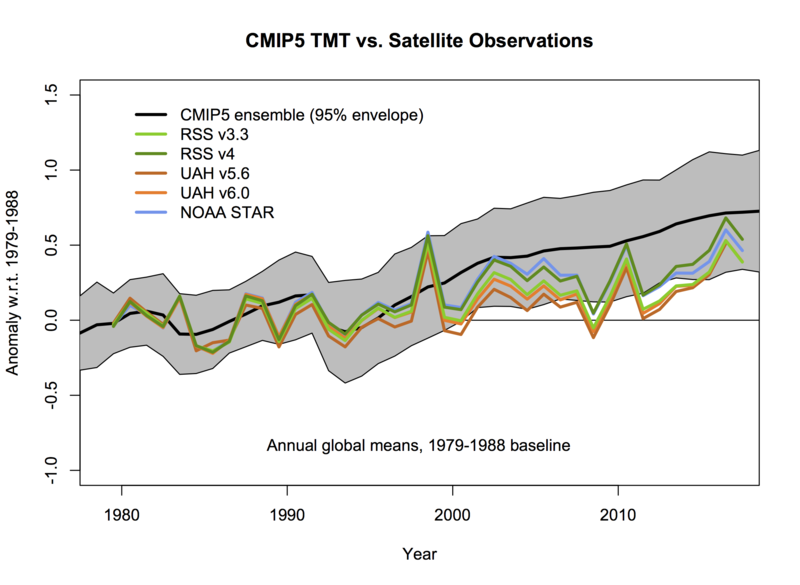 Model values use synthetic MSU-TMT weightings, spread is 95% envelope of simulations. Last updated 21 Jan 2018.